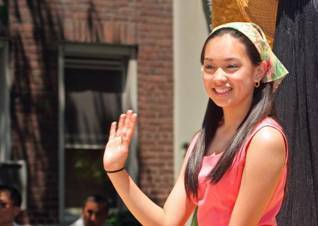 Why Date Christian Filipinas? Meet Asian women with Christian values. Dating and finding a long term quality partner today is tough. And it’s even tougher if you are a Christian who seeks a partner of the same faith. One often has to rely on fate and destiny. But there is a better way: Be proactive. Do something to find a compatible partner who will give you love, happiness and companionship. Remember that God does answer prayer, but he expects you to do your part and meet him halfway. But don't just do anything. Do something smart. Pick a culture or location that is most likely to have available compatible partners with the value and qualities that you want, who will treat you good and love you and appreciate you in return. You see, while you can’t change the people around you, you can always do something to find people who are compatible with you - who have the values and qualities you want, and will treat you good, as well as love and appreciate you in return. That’s the key to success - whether it's in business or love. Such mutually beneficial exchanges make for the best relationships. In order to do that, you must not let location become your barrier. You must expand your choices globally. Many Western men nowadays are increasingly gravitating toward finding Asian female partners, particularly in Asia. There are many reasons for this: Asian women have many ideal qualities that Western men want but are hard to find. They are more feminine, tender, soft, caring, and unlikely to try to become masculine, unlike their Western counterparts. This is especially the case with Filipina women, who tend to be modest, sweet, appreciative, family-oriented and God-fearing. And they also speak English as well, so that there is no language barrier with them for Western men. That is what makes them popular with Western men. In addition, they appreciate nice men, not bad boys, which is refreshing to nice and caring Western men (especially in America) because they can be themselves and liked for who they are. One way to meet English speaking Asian women with good Christian values is to find dating sites which cater to them. 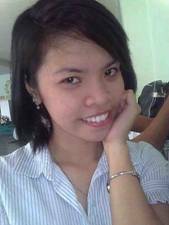 Christian Filipina is an ideal choice for meeting Asian women with Christian values who speak English. Most of the ladies are born again Christians, while some are Catholic. What sets this site apart from the rest is that the staff take great care to screen all members to ensure that all ladies are legit with genuine intentions. The site is run by a Western male named Peter who found his wife in the Philippines. I have met him and he is a man of honor and integrity. They also provide great advice on their Blog and their site has resulted in many happy couples and success stories. 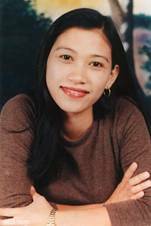 So if you are a Christian single male, or seeking English speaking Asian women with good Christian values, check out Christian Filipina. They will help you find the partner of your dreams. Take control of your destiny now. Remember that God expects you to meet him halfway in answering your prayers.